IHG® Rewards Club - e-Bücher - &quote;Run Duck Hide!&quote; the Martians Are Coming? 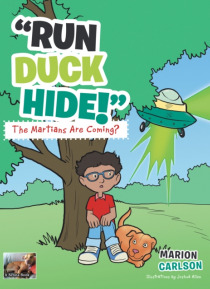 &quote;Run Duck Hide!&quote; the Martians Are Coming? A children's story about aboy and a dog who go for a walk and have a quite an adventure, or did they?